What Causes Confusional Arousals or Sleep Drunkenness? Confusional arousals are episodes in which a sleeping person wakes up—or seems to wake up—but behaves strangely. The affected person may seem disoriented or unresponsive; if anything is said, it probably won't make a lot of sense or even be coherent because the speech is slow or slurred. During a confusional arousal, a person's behavior may seem a lot like that of someone who's intoxicated. In fact, a nickname for confusional arousal is "sleep drunkenness." What are the symptoms and causes of confusional arousals and how should it be diagnosed and treated? Confusional arousals, or sleep drunkenness, are grouped with a number of sleep disorders called parasomnias. These are sleep-related behaviors. Other examples of these include sleepwalking and sleep terrors. These partial or incomplete awakenings may be affected by sleep inertia. Parasomnias like confusional arousals tend to happen during the transition from the deepest stage of sleep, stage 3, to a lighter stage of sleep mixed with wakefulness. This deep slow-wave sleep predominates in the first third of the night, and may be more intensely experienced by children and adolescents. This is when growth hormone is normally released. Children, especially kids under 5, are most likely to experience confusional arousals as compared to adults. 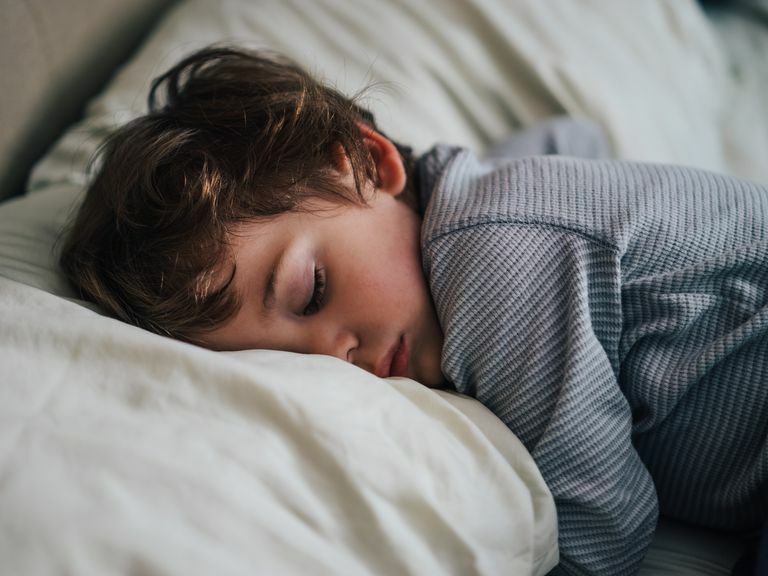 According to the American Association of Sleep Medicine (AASM), around 17 percent of children have confusional arousals. By contrast, they occur in only 3 percent to 4 percent of adults. When the amount of slow-wave sleep or sleep fragmentation is increased, this can predispose towards the condition. If you're a parent and have ever witnessed your child seem to wake up and "stare right through you" or not respond when you say her name, in all likelihood she was having an episode of confusional arousal. Adults who have confusional arousals sometimes come across as hostile or aggressive. The episodes are fairly brief, usually lasting less than 10 minutes, and may include simple movements and confused speech. Confusional arousals are characterized by amnesia and are not typically remembered the next day. Confusional arousals and sleep drunkenness also can happen in the wake of recovery from sleep deprivation or being forced to wake up; drug abuse or drinking too much alcohol; taking psychiatric medications; obstructive sleep apnea; and periodic limb movement disorder—sudden jerking movements of the legs during sleep that's sometimes associated with restless legs syndrome. If you're having confusional arousals or sleep drunkenness, you probably won't know unless someone witnesses them. Remember: People don't remember these episodes, so your only clue will be if you've been told you seem confused or behave aggressively or act hostile when you wake up and that this behavior happens regularly. In that case, you may want to see a sleep specialist. To confirm that you're having confusional arousals, the doctor will get a complete medical history from you and may have you keep a sleep diary for a couple of weeks and/or do an in-lab sleep study to observe things like your breathing rate and limb movements while you snooze. If it appears you're having confusional arousals or sleep drunkenness because you have some type of sleep disorder, treating that will likely put an end to them. For adults, it also might be beneficial to cut back or quit drinking alcohol. And of course, it's important to always get a full night of sleep, so adjusting your bedtime and creating a sleep environment that will help you get all the shut-eye you need also may help. If all else fails, your doctor may prescribe medication such as an antidepressant or a sleeping pill. These medications may disrupt sleep depth, reducing the likelihood of waking from a prolonged period of slow-wave sleep. In addition, there are devices such as the Lully Sleep Guardian that can prompt awakenings in children. If bothered by persistent or recurrent confusional arousals, consider consultation with a board-certified sleep physician. It may be possible to identify techniques or treatments to reduce their frequency. American Academy of Sleep Medicine, Confusional Arousals—Overview, and Facts. Durmer, JS and Chervin, RD. "Pediatric Sleep Medicine." Continuum. June 1, 2007;13(3):153-200.